Skateboarders are an increasingly common feature of the urban environment – recent estimates total 40 million world-wide. We are all aware of their often extraordinary talent and manoeuvres on the city streets. This book is the first detailed study of the urban phenomenon of skateboarding. It looks at skateboarding history from the surf-beaches of California in the 1950s, through the purpose-built skateparks of the 1970s, to the street-skating of the present day and shows how skateboarders experience and understand the city through their sport. Dismissive of authority and convention, skateboarders suggest that the city is not just a place for working and shopping but a true pleasure-ground, a place where the human body, emotions and energy can be expressed to the full. The huge skateboarding subculture that revolves around graphically-designed clothes and boards, music, slang and moves provides a rich resource for exploring issues of gender, race, class, sexuality and the family. As the author demonstrates, street-style skateboarding, especially characteristic of recent decades, conducts a performative critique of architecture, the city and capitalism. Anyone interested in the history and sociology of sport, urban geography or architecture will find this book riveting. 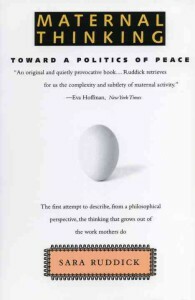 A New York Times Notable Book of the Year 1989Philosopher, mother, and feminist Sara Ruddick examines the discipline of mothering, showing for the first time how the day-to-day work of raising children gives rise to distinctive ways of thinking. Thirty years since its first publication in English, French philosopher Gaston Bachelard’s The Poetics of Space one of the most appealing and lyrical explorations of home. Bachelard takes us on a journey, from cellar to attic, to show how our perceptions of houses and other shelters shape our thoughts, memories, and dreams. With such acclaimed books as River of Shadowsand Wanderlust, activist and cultural historian Rebecca Solnit has emerged as one of the most original and penetrating writers at work today. Her brilliant new book, A Field Guide to Getting Lost, is about the stories we use to navigate our way through the world and the places we traverse, from wilderness to cities, in finding ourselves or losing ourselves. Written as a series of autobiographical essays, it draws on emblematic moments and relationships in Solnits own life to explore issues of uncertainty, trust, loss, memory, desire, and place. While deeply personal, Solnits book is not just a memoir, since her own stories link up with everything from the captivity narratives of early American immigrants to endangered species to the use of the color blue in Renaissance paintingnot to mention encounters with tortoises, monks, punk rockers, mountains, deserts, and the movie Vertigo. The result is a distinctive, stimulating voyage of discovery that only a writer of Solnits caliber and curiosity could produce, a book that will appeal not only to her growing legion of admirers but also to the readers of Anne Lamott, Diane Ackerman, and Annie Dillard. In Writing Ethnographic Fieldnotes, Robert M. Emerson, Rachel I. Fretz, and Linda L. Shaw present a series of guidelines, suggestions, and practical advice for creating useful fieldnotes in a variety of settings, demystifying a process that is often assumed to be intuitive and impossible to teach. Using actual unfinished notes as examples, the authors illustrate options for composing, reviewing, and working fieldnotes into finished texts. They discuss different organizational and descriptive strategies and show how transforming direct observations into vivid descriptions results not simply from good memory but from learning to envision scenes as written. A good ethnographer, they demonstrate, must learn to remember dialogue and movement like an actor, to see colors and shapes like a painter, and to sense moods and rhythms like a poet. This new edition reflects the extensive feedback the authors have received from students and instructors since the first edition was published in 1995. As a result, they have updated the race, class, and gender section, created new sections on coding programs and revising first drafts, and provided new examples of working notes. An essential tool for budding social scientists, the second edition of Writing Ethnographic Fieldnotes will be invaluable for a new generation of researchers entering the field. New York Times Bestseller! Everyone has a memoir in miniature in at least one piece of clothing. In Worn Stories, Emily Spivack has collected over sixty of these clothing-inspired narratives from cultural figures and talented storytellers. First-person accounts range from the everyday to the extraordinary, such as artist Marina Abramovic on the boots she wore to walk the Great Wall of China; musician Rosanne Cash on the purple shirt that belonged to her father; and fashion designer Cynthia Rowley on the Girl Scout sash that informed her business acumen. Other contributors include Greta Gerwig, Heidi Julavits, John Hodgman, Brandi Chastain, Marcus Samuelsson, Piper Kerman, Maira Kalman, Sasha Frere-Jones, Simon Doonan, Albert Maysles, Susan Orlean, Andy Spade, Paola Antonelli, David Carr, Andrew Kuo, and more. By turns funny, tragic, poignant, and celebratory, Worn Stories offers a revealing look at the clothes that protect us, serve as a uniform, assert our identity, or bring back the past–clothes that are encoded with the stories of our lives. Housework—often trivialized or simply overlooked in public discourse—contributes in a complex and essential way to the form that families and societies assume. 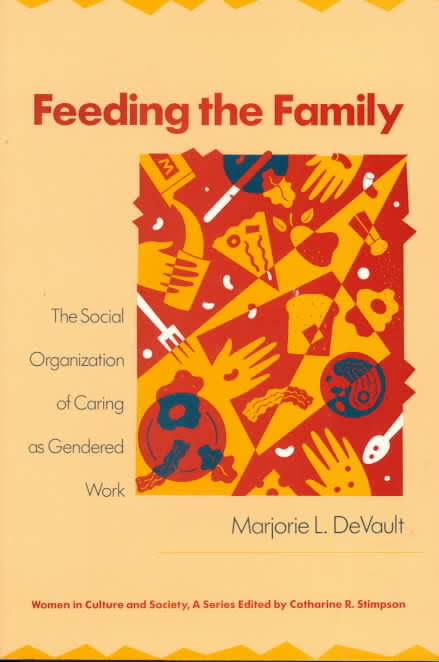 In this innovative study, Marjorie L. DeVault explores the implications of “feeding the family” from the perspective of those who do that work. Along the way, DeVault offers a new vocabulary for discussing nurturance as a basis of group life and sociability. Drawing from interviews conducted in 1982-83 in a diverse group of American households, DeVault reveals the effort and skill behind the “invisible” work of shopping, cooking, and serving meals. She then shows how this work can become oppressive for women, drawing them into social relations that construct and maintain their subordinate position in household life. The typical American family has changed dramatically since the days of “Ozzie and Harriet” and “Father Knows Best.” Double-income families are now the rule, and fathers are much more involved in raising the children and cleaning house. Reactions to these changes have been diverse, ranging from grave misgivings to a sense of liberation and new possibility. Groups as diverse as Promise Keepers, the Million Man March, and Robert Bly’s mythopoetic men’s movement tell us that fathers are important. From the fundamentalist right to the feminist left, opinions about the changing nature of the family–and the consequent rethinking of gender roles–have been vehement, if not always very well-founded. In Family Man, sociologist Scott Coltrane brings a wealth of compelling evidence to this debate over the American family. Drawing on his own extensive research and many fascinating interviews, Coltrane explodes many of the common myths about shared parenting, provides first-hand accounts of men’s and women’s feelings in two-job families, and reveals some innovative solutions that couples have developed to balance job and family commitments. Readers will find an insightful discussion of precisely how and why family life has changed, what forms it may take in the future, and what new kinds of fathers may be on the horizon. The author firmly places these questions within a broad contextual framework. He provides, for instance, an illuminating history of the family that shows that, far from being a fixed structure, the family has always adapted to changing economic, social, and ideological pressures. And by examining how families operate in a variety of non-industrial societies, he demonstrates that our own notions of gender-specific work and parenting roles are culturally rather than biologically determined, and thus inherently flexible. And indeed these roles are changing. While contemporary American women still perform the bulk of domestic tasks, Family Man gives us decisive evidence that men are becoming increasingly involved in both housework and childrearing. Coltrane argues convincingly that this trend will continue. Given the current economic situation–with two-job households now the norm–and the gradual ideological shift away from restrictive gender roles, more and more couples will find it both necessary and desirable to share the workload. More important, Coltrane suggests that as fathers participate more fully in raising their children and performing traditionally female household tasks, men will themselves be transformed by the experience in profoundly positive ways and American society as a whole will move closer to true gender equity. Family Man succeeds brilliantly in bringing clarity, perspective, and above all hope to a discussion that is too often shrill, chaotic, and beset with the rhetoric of nostalgia. It shows us not only exactly where the family is today, but where it has been and what it may become. 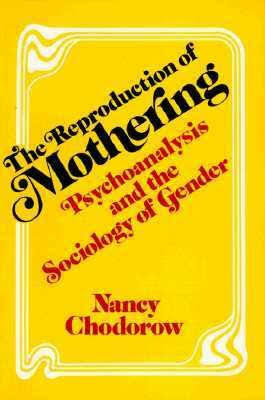 Nancy Chodorow’s classic work on the mother-daughter relationship and female psychology. In this compelling memoir by a writer, mother, and feminist, Jane Lazarre confronts the myth of the “good mother” with her fiercely honest and intimate portrait of early motherhood as a time of profound ambivalence and upheaval, filled with desperation as well as joy, the struggle to reclaim a sense of self, and sheer physical exhaustion. Originally published in 1976, The Mother Knot is a feminist classic, as relevant today as it was twenty years ago. Sussman presents and documents over 200 works by Eva Hesse. Essays by a team of writers deal with themes such as: mutability and decay in Hesse’s art; her little-known career in New York and Germany and her innovative use of translucent materials. ‘On its more radical fringes, modern art merges with modern philosophy, and this excellent, provocative profile…points up the extent to which the act of percepton, rather than any specific objects, has become the subject of the avant-garde California artist’s work….Weschler has a knack for clarifying avstruse artistic and philosophical concepts. 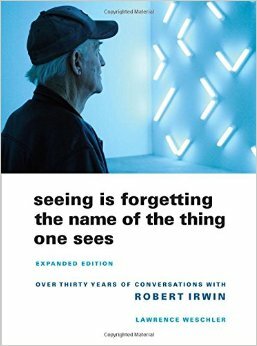 A book about interacting in its many forms – including the relationships between artworks and audiences, between creative practitioners from different disciplines, and between those practitioners and the norms of research in contemporary society – this account provides a unique perspective on these interacting elements. Reconciling Art and Mothering contributes a chorus of new voices to the burgeoning body of scholarship on art and the maternal and, for the first time, focuses exclusively on maternal representations and experiences within visual art throughout the world. This innovative essay collection joins the voices of practicing artists with those of art historians, acknowledging the fluidity of those categories. The twenty-five essays of Reconciling Art and Mothering are grouped into two sections, the first written by art historians and the second by artists. Art historians reflect on the work of artists addressing motherhood-including Marguerite Gérard, Chana Orloff, and Renée Cox-from the early nineteenth century to the present day. 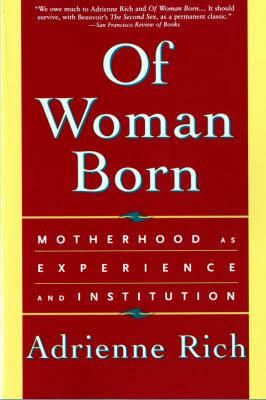 Contributions by contemporary artist-mothers, such as Gail Rebhan, Denise Ferris, and Myrel Chernick, point to the influence of past generations of artist-mothers, to the inspiration found in the work of maternally minded literary and cultural theorists, and to attempts to broaden definitions of maternity. Working against a hegemonic construction of motherhood, the contributors discuss complex and diverse feminist mothering experiences, from maternal ambivalence to queer mothering to quests for self-fulfillment. The essays address mothering experiences around the globe, with contributors hailing from North and South America, Europe, Asia, Africa, and Australia. Linda Nochlin is one of the most accessible, provocative, and innovative art historians of our time. In 1971 she published her essay “Why Have There Been No Great Women Artists?”—a dramatic feminist call-to-arms that called traditional art historical practices into question and led to a major revision of the discipline. Women Artists brings together twenty-nine essential essays from throughout Nochlin’s career, making this the definitive anthology of her writing about women in art. Included are her major thematic texts “Women Artists After the French Revolution” and “Starting from Scratch: The Beginnings of Feminist Art History,” as well as the landmark essay and its rejoinder “‘Why Have There Been No Great Women Artists?’ Thirty Years After.” These appear alongside monographic entries focusing on a selection of major women artists including Mary Cassatt, Louise Bourgeois, Cecily Brown, Kiki Smith, Miwa Yanagi, and Sophie Calle. 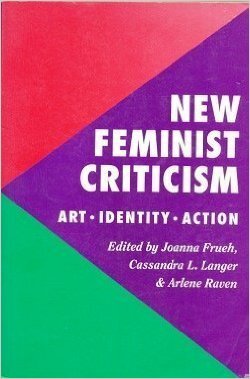 Women Artists also presents two new essays written specifically for this book and an interview with Nochlin investigating the position of women artists today. Throughout her career, Eva Hesse (1936–1970) produced a significant number of small, experimental works alongside her large-scale sculpture. These so-called “test-pieces” were made in a wide range of materials, including latex, wire-mesh, sculp-metal, wax, and cheesecloth. Rather than considering them simply technical explorations, the art historian Briony Fer renames these small objects studiowork and argues that they put in question conventional notions of what sculpture is. The book contains a comprehensive catalogue of the studiowork, including many new works that have never before been seen in public. Although previously these small objects were considered peripheral to the major sculptures, this fascinating new study argues that they force us to ask fundamental questions, not just about what an artwork is, but about the work that art does in our culture. At the intersection of feminism, science fiction, and disco, “Mothernism” aims to locate the mother-shaped hole in contemporary art and discourse. A guide to the art of personal writing, by the author ofFierce AttachmentsandThe End of the Novel of Love All narrative writing must pull from the raw material of life a tale that will shape experience, transform event, deliver a bit of wisdom. In a story or a novel the “I” who tells this tale can be, and often is, an unreliable narrator but in nonfiction the reader must always be persuaded that the narrator is speaking truth. How does one pull from one’s own boring, agitated self the truth-speaker who will tell the story a personal narrative needs to tell? That is the questionThe Situation and the Storyasks–and answers. Taking us on a reading tour of some of the best memoirs and essays of the past hundred years, Gornick traces the changing idea of self that has dominated the century, and demonstrates the enduring truth-speaker to be found in the work of writers as diverse as Edmund Gosse, Joan Didion, Oscar Wilde, James Baldwin, or Marguerite Duras. This book, which grew out of fifteen years teaching in MFA programs, is itself a model of the lucid inteligence that has made Gornick one of our most admired writers of ninfiction. In it, she teaches us to write by teaching us how to read: how to recognize truth when we hear it in the writing of others and in our own. As featured in AMC’s Breaking Bad, given by Gale Boetticher to Walter White and discovered by Hank Schrader. “I celebrate myself, And what I assume you shall assume, For every atom belonging to me as good belongs to you. I loafe and invite my soul, I lean and loafe at my ease….observing a spear of summer grass.” So begins Leaves of Grass, the first great American poem and indeed, to this day, the greatest and most essentially American poem in all our national literature. The publication of Leaves of Grass in July 1855 was a landmark event in literary history. Ralph Waldo Emerson judged the book “the most extraordinary piece of wit and wisdom America has yet contributed.” Nothing like the volume had ever appeared before. Everything about it–the unusual jacket and title page, the exuberant preface, the twelve free-flowing, untitled poems embracing every realm of experience–was new. The 1855 edition broke new ground in its relaxed style, which prefigured free verse; in its sexual candor; in its images of racial bonding and democratic togetherness; and in the intensity of its affirmation of the sanctity of the physical world. This Anniversary Edition captures the typeface, design and layout of the original edition supervised by Whitman himself. Today’s readers get a sense of the “ur-text” of Leaves of Grass, the first version of this historic volume, before Whitman made many revisions of both format and style. The volume also boasts an afterword by Whitman authority David Reynolds, in which he discusses the 1855 edition in its social and cultural contexts: its background, its reception, and its contributions to literary history. There is also an appendix containing the early responses to the volume, including Emerson’s letter, Whitman’s three self-reviews, and the twenty other known reviews published in various newspapers and magazines. This special volume will be a must-have keepsake for fans of Whitman and lovers of American poetry. A complementary sequel to Relating Architecture to Landscape, this volume of essays explores further areas of interest and debate in the field of landscape/architecture, and offers contributions from a team of well-known researchers, teachers and writers. The choice of topics is wide-ranging and features case studies of modern and contemporary schemes from the US, Far East and Australasia. NATIONAL BOOK AWARD FINALIST ONE OF THE BEST BOOKS OF THE YEAR The New York Times, Washington Post, The San Francisco Chronicle, Vogue, NPR, Publishers Weekly, BookPage A revealing and beautifully written memoir and family history from acclaimed photographer Sally Mann. In this groundbreaking book, a unique interplay of narrative and image, Mann’s preoccupation with family, race, mortality, and the storied landscape of the American South are revealed as almost genetically predetermined, written into her DNA by the family history that precedes her. Sorting through boxes of family papers and yellowed photographs she finds more than she bargained for: “deceit and scandal, alcohol, domestic abuse, car crashes, bogeymen, clandestine affairs, dearly loved and disputed family land . . . racial complications, vast sums of money made and lost, the return of the prodigal son, and maybe even bloody murder.” In lyrical prose and startlingly revealing photographs, she crafts a totally original form of personal history that has the page-turning drama of a great novel but is firmly rooted in the fertile soil of her own life. In this moving photo essay, Mexican photographer Ana Casas Broda (born 1965) explores the complexity of motherhood and her relationship with her two sons, as their respective selves emerge or are reconstructed. Just about every aspect of papermaking is covered in this book. Dard Hunter discusses the history of papermaking from its invention in China to its introductions in Europe and in America. He examines the development and uses of the different materials and tools of papermaking: the different types of hand molds, such as the “wove” mold and the “laid” mold of China; methods of maceration (beating the cloth); of dipping the molds or pouring the liquid pulp over the molds; and of pressing, drying, and sizing the paper. He also compares papermaking techniques, including old and new methods of making paper by hand and machine-made paper, and he discusses early and modern watermarking styles and processes. Over 320 illustrations show actual pages from rare books and scrolls from every corner of the world, scenes of past and present-day papermaking, tools, materials, and watermarks. A two-page map traces the 1,000-year journey of papermaking from China to Europe, and a chronology of paper and paper-related developments spans over 4,500 years. Dard Hunter (1883–1966) is still recognized as the world’s foremost authority on paper and papermaking. This is the classic work on papermaking, used as a text and reference in classrooms, museums and libraries. Book lovers, papermakers, artists, etchers, engravers, printers, bookbinders, and workers in watermarking will find this volume both fascinating and informative. Paper is probably the most important factor to a printmaker. The type used is integral to the finished piece and can determine the whole look of a print. This book aims to alert artists working in both the fields of print and papermaking to the possibilities inherent within each discipline, and how each may complement the other. Making your own paper allows printmakers to have absolute control over their print, often resulting in a work of extraordinary richness and beauty. This book features a range of different papers from around the world, and includes a section focusing on Japanese papermaking – a delicate and highly-prized skill. The author also leads us through the various methods that enable the artist to incorporate found objects (such as petals, seeds, leaves); and to determine the exact colour (using both natural and chemical dyes) and thickness of the sheets. The Politics of Aesthetics rethinks the relationship between art and politics, reclaiming “aesthetics” from the narrow confines it is often reduced to. Jacques Rancière reveals its intrinsic link to politics by analysing what they both have in common: the delimitation of the visible and the invisible, the audible and the inaudible, the thinkable and the unthinkable, the possible and the impossible. Presented as a set of inter-linked interviews, The Politics of Aesthetics provides the most comprehensive introduction to Rancière’s work to date, ranging across the history of art and politics from the Greek polis to the aesthetic revolution of the modern age. Available now in the Bloomsbury Classics series 10 years after its original publication, The Politics of Aesthetics includes an afterword by Slavoj Zizek, an interview for the English edition, a glossary of technical terms and an extensive bibliography.